Born in Santa Fe, N.M. in 1952 and of Chicano and Apache descent, Jimmy Santiago Baca was abandoned by his parents at age 2. He went to live with a grandparent for several years before being placed in an orphanage. Cast off by everyone he trusted and loved, he ended up living on the streets as a violent and bitter teen. At age 21, the illiterate young Baca was convicted on charges of drug possession and sent to spend six years in a federal prison in Florence, Arizona. He spent four of those years in solitary confinement. During his years in prison Baca taught himself to read and write and began composing poetry. At the urge of another inmate, Baca submitted some of his poems to Denise Levertov, then poetry editor of Mother Jones magazine. Levertov not only printed the poems but also began corresponding with him, eventually finding a publisher for his first book. He emerged from prison with a passion for writing and literature. Today, Baca is regarded as one of the nation’s top poets, counting among his prestigious prizes and awards the American Book Award, the Southwest Book Award, the Pushcart Prize and a National Endowments for the Arts Literary Fellowship. In addition to his writing, the self-styled “poet of the people” conducts writing workshops for children and adults at schools and universities, barrio community centers, white ghettos and housing projects, and correctional facilities and prisons — all across the U.S.
For more information call 712-274-8733. Baca will visit Western Iowa Tech Community College (WITCC) next week for a three-day residency as “Visiting Artist” for the College’s 2004 Fund for Inspiration program. From Oct. 26 – 28, Baca will give two public presentations in which he will read selections from his work and talk about the transforming power of literacy. He also will conduct several writing and poetry workshops for specific audiences within the community, including GED students, at-risk adolescents and East High School students. Baca begins his visit with a special convocation on Tuesday, “A Conversation with Jimmy Santiago Baca.” Dr. Robert Dunker, president of WITCC, will welcome Baca to campus and introduce him, followed by Eddie Dunn — WIT’s director of distance learning and global education — who will interview Baca about his life and work. At 6 p.m., Baca will attend a special reception in the Castle on the Hill lobby, hosted by the New Iowan Center, a part of Workforce Development and a division of Siouxland’s Community Action Agency. From 7 to 9 p.m., Baca will give a special presentation “Dreams for a Better Life,” at the Castle on the Hill Auditorium where he’ll talk about the role literacy played in his journey from despair to hope. “They’ll have tours at the Castle throughout the day at different times, because this will be the first presentation in the refurbished auditorium,” says Scott, who knew when she first saw the auditorium that it would fit perfectly with Baca’s message. The auditorium will accommodate 800 people, and Scott hopes for family attendance where parents will bring their children. She believes high school students in particular will connect with his poetry and be able to reflect. Education Director Marcy Hahn of Sioux City’s Boys & Girls Home has witnessed that stumbling firsthand in her work with inpatient students. Baca will conduct a writing workshop with at-risk adolescents aged 12-18 at the Boys and Girls Home on Wednesday afternoon. Hahn says Baca’s message is a great fit for her students because he not only has the empathy but has experienced exactly what they are all experiencing. Hahn says Baca offers hope on the other side of that. Baca earned his bachelor’s degree in English in 1984, and in 2003 a doctorate in literature, both from the University of New Mexico. 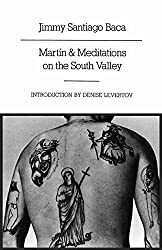 In 1987, his semi-autobiographical novel in verse, Martín and Meditations on the South Valley: Poems , received the American Book Award for poetry, bringing Baca international acclaim. 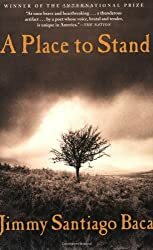 In addition to his books of poetry and novels, his 2001 memoir, A Place to Stand , chronicled his troubled youth and the five-year jail stint that brought about his personal transformation. In addition to changing young lives, Scott says Baca’s visit will focus on cross-cultural diversity that is so important to changing societies. At the New Iowan Center, she says they try to always have that spirit of celebration of friendship by showcasing the rich culture and the traditions that are now the new wave in Siouxland. For more information on Jimmy’s books visit www.jimmysantiagobaca.com. People often go to great lengths to keep secrets – they lie, become evasive, or masquerade a truth by outwardly displaying the opposite of what they feel. Secrets become more frightening when admitting they exist means risking being cast as peculiar. Author Gwyn Hyman Rubio brings this issue to the fore with a child’s-eye look from the inside out on how it feels to be dissimilar in a uniform society. “Icy Sparks ,” Rubio’s first novel and the March, 2001 Oprah Book Club pick, tells the story of 10-year-old Icy Sparks, a bright and curious child who begins to croak, pop her eyes, and experience other unexplained symptoms. Set in Eastern Kentucky in 1956, Icy’s behavior is the source of mystery, confusion and deep humiliation. As an adult, Icy discovers she suffers from Tourette Syndrome, a rare neurological disorder characterized by tics – involuntary movements or vocalizations that occur repeatedly in the same way. Narrated by an adult, Icy looking back, the story captures not just the challenges of being an outcast but the struggles one goes through in a seemingly endless search for answers. Rubio, who does not suffer from Tourette Syndrome (TS) herself, grew up with epilepsy, another neurological disorder. She says she wanted to write a book about a child who felt different. She wanted to write a story about a little girl who didn’t fit in, but wasn’t quite sure what problem to give the girl. Then she ran across the essay “The Man Who Mistook His Wife for a Hat,” written by the renowned Dr. Oliver Sacks. Shortly after reading the essay, Rubio learned that the Tourette Syndrome Association (TSA) was holding a conference in Lexington, Ky., a mere hour from where she lived. She decided to attend. When a surgeon gave a speech about how his tics stopped when he entered the operating room and the healing power of creating, she knew it was a sign. She had to write the book. 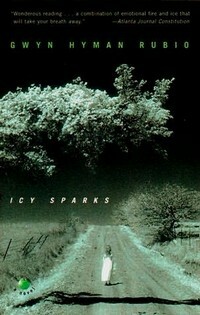 Icy Sparks was chosen as an Oprah Book Club Pic for March 2001. Still, the little girl didn’t have a name. Then one day, while walking through the cemetery with her husband, their eyes fell on a marker named “Icy.” A few markers down, they saw “Sparks,” and her heroine was born. She began writing the novel the very next day. Published in July 1998, the book garnered modest sales until being chosen as an Oprah book club pick for March 2001. At that point, sales soured, bringing awareness to a disorder that, even in the 21st century, is as much still misunderstood as it is often stereotyped. There is no “typical” case of TS, as symptoms cover a spectrum from mild to quite severe. They range from eye blinking, head jerking and throat clearing to yelping, self-injurious actions and uttering words or phrases out of context. The term “involuntary” used to describe tics also is confusing since most people with TS do have some control over their symptoms. What others may not recognize, however, is that the control or stifling of tics, which can be exercised anywhere from seconds to hours at a time, often merely postpones more severe outbursts which eventually must be expressed. The Oprah book club discussion explored this very factor. Rubio chatted with three others on a panel, including a teacher who’d kept her disorder a secret from everyone except her husband and doctor. Other co-morbid syndromes, such as Attention Deficit Hyperactivity Disorder and Obsessive Compulsive Disorder, add additional elements to a disorder, which makes it more difficult for people to comprehend. Coprolalia (profanity), while the most spectacular of the symptoms, actually is seen in only a minority (15-30 percent) of those with TS, yet often is the hallmark TS stereotype. For Rubio’s book discussion, Oprah formatted the first half hour of her show entirely to TS awareness, showing clips from interviews of others who lived with TS, including children and former professional baseball player Jim Eisenreich. The ex-L.A. Dodgers hitter had symptoms of TS by age 6, but didn’t know there was a name for it until he was 23, then playing for the Minnesota Twins. Eisenreich founded the Jim Eisenreich Foundation in 1996 for children with Tourette’s and has played a significant role in educating the public about the disorder. Rubio is no stranger to dealing with special children, having worked as a preschool program coordinator while serving in Costa Rica with the Peace Corps. She’s no stranger to writing, either. Her father, Mac Hyman, wrote the bestselling “No Time for Sergeants” in 1954 when he was only 31 years old. Rubio says “Icy Sparks” is a book that can be read at different levels, whether as a person with Tourette’s or the parent of a child who has it. Still, there is one message she hopes will shine through. 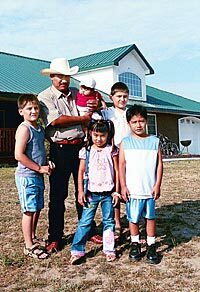 When a tornado ripped off the roof of Tony Vasquez’ home in Jackson, Neb., in August 2001, the Red Cross helped his family get back on their feet. 12:30 p.m. – two-person alternating shot golf outing at Covington Links Golf Course in South Sioux City. Cost is $65 per person and includes 18 holes of golf, cart, steak dinner and prizes. Tony Vasquez quickly realized the importance of the American Red Cross when an F2 tornado slammed into his home on Aug. 17, 2001, as it cut a diagonal swath of destruction through Jackson, Neb. While the tornado caused no serious injuries, the twister demolished roofs and blew houses from their foundations, causing extensive damage to the historic public school, one commercial building, several homes and a local church. The Vasquez family was hit particularly hard, but the Red Cross’s intervention made their transition through the ordeal far less traumatic. Vasquez’s wife, Anna, suffered a broken leg and spent time in the hospital, an expense the Red Cross helped cover. They also put the family up in a rental home and provided needed clothing. Now the Red Cross’s ability to help others is threatened as its relief fund budget dwindles nationally and in Siouxland, where the organization provides aid services to 10 Iowa counties and a county each in Nebraska and South Dakota. Known for providing assistance to more than 600,000 disaster victims each year, the organization now is in need of its own financial assistance as dollars from its Disaster Relief Fund have reached an epic low. A “safe” amount in the organization’s national fund is $56 million, especially with disaster-prone seasons fast approaching. On June 30, however, the relief fund hit its lowest point in 11 years with a balance of only $1.5 million. Richard (Doc) Zortman, public relations and financial development director of the Siouxland area chapter, says the Red Cross is facing a financial crisis that could threaten its ability to provide life-saving services upon which Americans have come to depend. It was that type of concern that led Zortman, a former Navy journalist and photographer, to approach Navy Lt. Shane Osborn about the possibility of an area fund-raiser honoring local Siouxland ‘heroes.’ Osborn, a Norfolk, Neb., native born in South Dakota, commanded the downed EP-3 reconnaissance plane that Chinese fighters intercepted on April 1, 2001. Osborn and 23 crew members spent 11 days under intense interrogation before their release to the U.S. government. “He said he’d love to help,” says Zortman, who then worked directly with Osborn to coordinate a two-day event that features a book signing, ArtSplash silent auction, a pre-dinner reception and Hero Awards banquet as well as a golf outing on Monday. Osborn is doing all events on his time and at his cost, including Sunday’s book signing, where profits will be donated to the local Red Cross chapter. For Osborn, attending the event was a given. Zortman says that despite the attention that large disasters receive, many people do not realize that it is the smaller, “silent disasters,” such as single house fires that steadily drain local Red Cross funds. Often unreported in the national media, the events go unnoticed and therefore do not generate financial contributions. And, because they are not a federal agency, the Red Cross receives no funding from the government. The Siouxland area chapter is staffed by only seven people; the rest are volunteers, many of whom responded to the Sept. 11 disaster and spent several weeks in New York volunteering needed services. Though many people associate the Red Cross with blood, the Siouxland chapter is not involved with those services. Mobile units — such as the Siouxland Blood Bank — have fleets strategically placed to serve specific counties. Siouxland’s Red Cross, says Zortman, is more of a “disaster preparedness chapter.” And, on a local level, their lack of funds translates into having to choose some services over others. Osborn says many people don’t realize how badly the Red Cross is hurting or how low donations are, something he attributes to the lagging economy. He hopes his visit to Sioux City will help jump-start interest in the Red Cross and appreciation for services they provide to surrounding areas. “I grew up right near there — 60 to 70 miles from [Sioux City] — so you’re helping the people that are nearest and dearest to me,” Osborn says of the Siouxland chapter. When: Sunday, Aug. 10, noon-2 p.m. It began as something simple: a son of America’s Heartland, a ride as a toddler in a war-surplus Piper Cub plane — a boy with a dream. It became an extraordinary story of courage, perseverance, overcoming impossible odds and the making of a hero. 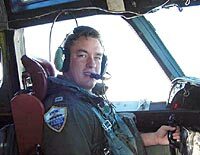 On April 1, 2001, U.S. Navy Lieutenant Shane Osborn was piloting an EP-3 ARIES II reconnaissance plane in international airspace over the South China Sea when two Chinese F-8II fighters intercepted the slow-flying plane. One Chinese pilot — Wang Wei — began to harass the American plane, coming dangerously close twice before finally colliding with the EP-3’s outer propeller. The collision split the Chinese plane in half and inflicted catastrophic damage on the U.S. EP-3, blowing debris from its nose, chewing up propeller blades, damaging the fuselage, and throwing it into a steep, near-inverted dive plummeting toward the ocean. By the time the plane has fallen nearly 8,000 feet, the superbly trained Osborn somehow regained control, landing the crippled plane on the Chinese Island of Hainan, where he and his 23 crewmembers immediately were taken into detention. For the next 11 days, Osborn endured nearly round-the-clock interrogation while shielding his crew from the ordeal. Though he refused to meet Chinese demands, the Norfolk, Neb. native and his crew were freed when the US and Chinese governments reached an agreement for their release. 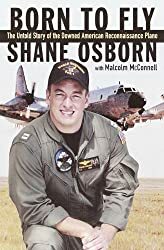 In Born to Fly: The Untold Story of the Downed American Reconnaissance Plane — published in both adult and young adult editions — Osborn recounts his life-long love of flying and the fateful events that led him to receive the Navy’s highest airmanship honor. Throughout both books, the University of Nebraska naval ROTC graduate speaks of faith, courage, and dedication to one’s country. Osborn will sign copies of the books at Southern Hills Mall’s Waldenbooks on Sunday as part of a Red Cross fundraiser. What did you most hope to accomplish by writing this book? The thing that was most significant to me was the opportunity to maybe open up some eyes, to not only adults but some younger people with the young adult version, and let them know the importance of having goals and working towards them and more importantly, serving your country. I looked at it as an opportunity to maybe plant a seed in a young person’s head about serving when they graduate high school. I believe it’s very important that we have good men and women serving to maintain this country’s freedom. We’re going to need more of them in the future, and, especially today, I think people realize it and appreciate it. Can you describe for the Weekender the events leading up to the collision, and what thoughts were going through your mind after it happened? It was pretty much a standard reconnaissance mission. It wasn’t rare for us to be intercepted, however; in recent weeks they’d become more aggressive in their intercepts. That day we knew right away that it was going to be a very aggressive intercept when they joined up on us the first time and they were inside of my wingspan. We’d never seen nor heard of that happening, where they are only inches away from my propellers. That happened twice, and so we had a pretty bad feeling that third time when the jet came to rejoin up on us. There were a lot of people in the back looking out; I couldn’t even see him coming because he was coming from the left side and I was in the right seat. I could hear it in their voices that this was not going to be good. When he hit us, we kind of all had a feeling that this might happen at that point. We didn’t know what was going on, why he was being so aggressive and dangerous that day. You just kind of had a feeling in the back of your head that something was going to go wrong because he had already almost hit us twice. When he came back the third time, that’s when we had the collision. How would you describe those 11 days where you were interrogated and held against your will, and how did you hold up despite the constant sleep deprivation? All my life I’d wanted to serve and talked to everyone about the importance of serving our country and how proud I was to do it. Now, all the sudden I was put in a position where I was responsible not only for myself, but for 23 other lives. It’s a very intimidating situation, so you’re either going to step up and take it or not. There’s no real choice there but to do what you need to do to get those 23 people home to their families. So it was very intimidating; you don’t want to show them that you’re scared, but inside you’re scared the whole time. Long interrogations, no sleeping and things like that start to get to you but you just kind of have to re-cage yourself. It tests all your beliefs, and you just keep praying and hoping that it will be over soon. What kind of impact did this have on your family? What type of response have you received from young readers? Excellent. It’s been great. I love going out and talking to kids of all ages. I tell them my story and tie it in, hopefully with something they can relate to. I get e-mails, letters, all types of stuff and I answer them all. I already know of a few that are now in the naval academy and going to college in ROTC programs, and it’s good to hear because they kind of update me with what they’re doing. It’s pretty cool to have the opportunity to help someone out in that way. To me it’s a word that was used so much I didn’t even want to be associated with it just because of some of the other areas in our culture that we associate with the word hero. Nowadays, I think we’ve been reeducated as to what a hero is. To me, a hero is anyone who serves, not just in the military, but anyone that does a selfless act is a hero in my book. Did you have a hero as a child? My mother. I didn’t look up to sports, athletes. I enjoyed sports, but I never looked toward movie stars or athletes or singers as heroes. I was lucky enough that my mom worked at the veteran’s home as I was growing up, so I got to spend a lot of afternoons after school and weekends talking to veterans. So those are the people I looked up to most. What was the best piece of advice your father or mother ever gave you? 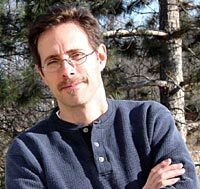 Author Leif Enger says that his book “Peace Like a River,” which was chosen as the All Iowa Reads 2003 book selection, began to crystalize when he took time off from writing mysteries with his brother. • The Sioux City library/Weekender book club will discuss Leif Enger’s “Peace Like a River” on April 7 at the Morningside Branch Library from 7 to 8 p.m. The club is free and open to the public. • The Sioux Center Library, Sioux Center, will discuss the book on Feb. 20 at noon and at 7 p.m. at the Sioux Center Public Library. The discussion is open to the public. • Read the book, then donate it to friends or your local library and encourage family, coworkers and others to do same to keep the book in circulation. • Add your upcoming event – including club meetings – to All Iowa Reads website. • Organize local study group at church, school, coffee shop, or at home. • Discuss the book with your family and friends. • Print out study guides and other free resources for use in discussion groups. • Teachers can get classes involved in reading and discussing the book. • All Iowa Reads website offers study guides, bookmarks, posters, lists of discussion groups and calendar of events. • Iowa Center for the Book provides info about goals, mission. 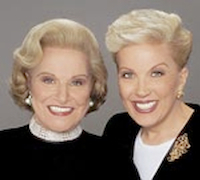 1) Miracles – describe them and the role they play. 2) Breathing – how does Reuben’s asthma serve as a metaphor in the story? 3) The double homicide – does Reuben see Davy as a murderer? How does the novel explore the idea of loyalty? 4) Sunny Sundown – how does Swede’s epic poem parallel the story? 5) Jeremiah – What are his weaknesses, and what are his motives for healing a grotesque employer? 6) Public Viewpoints – what does Reuben learn about the court of public opinion? 7) Reuben muses “The infirm wait always, and know it.” What is he “waiting” for? 8) Roxanna – how might Roxanna herself be seen as a miracle? 9) Discuss the author’s portrayal of childhood; do the children seem realistic? 10) What do the characters of Jape and Valdez represent in this novel? Leif Enger’s debut novel is of uncommon wisdom — equal parts tragedy, love story, faith and meditation — unfolding like a revelation in the midst of miracles and magic. Set against the Minnesota countryside and North Dakota Badlands in the early 1960s, Peace Like a River is a story about a family whose lives are upended when Davy, the oldest son, kills two marauders who have come to harm his family. Hailed a hero by some, a murderer by others, Davy escapes from his cell the morning of his sentencing. 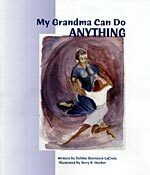 Narrated by 11-year-old Reuben Land — an asthmatic “born without air in his lungs” — the story recounts the journey he takes with his father, Jeremiah, and 9-year-old poet sister, Swede, to rescue one of their own. Reuben has little doubt that miracles abound and suspects his father, a school janitor, “is touched by God and can overturn the laws of nature.” Yet as their voyage intersects with the beauty and cruelty of the natural world, they are forced to face their own ideals of love, family loyalty, sacrifice and faith. Enger, born in Sauk Centre, Minn., to Osakis High School bandleader Don and teacher Wilma Enger, fell in love with language at a very early age after his mother’s yearly reading of [Stevenson’s] “Treasure Island.” He went on to spend 16 years working as writer/producer for Minnesota Public Radio. Selected for the statewide book study initiative “All Iowa Reads 2003,” Peace Like a River began with a basic, yet central desire: “As a parent you want to work a miracle.” At the time, Enger’s oldest son, then 7, was struggling with a distressing case of asthma. In a telephone interview from his home in Minnesota — where he lives with wife Robin and sons Ty and John — Enger spoke about miracles and faith, and how they found their way into Peace Like a River. Was there anything prior to your son fighting asthma that made you realize you had to write this particular story? No, there was not. I had been writing mystery novels with my brother Lin. We wrote the most commercial mysteries we possibly could in the quest for audience, and still the audience stayed away. We published five mystery novels and finally we just gave up because we were too tired to keep going any longer. I took a month or two off, where I no longer got up at five in the morning and wrote until seven. Ty was going through such terrible asthma at the time and Robin and I wanted more than anything to do some miraculous thing on his behalf so that he could take an easy breath from time to time. During that couple of months, this story just started to crystallize in my mind. You know that if you have a child with a condition like that, that you would do anything to make that child better. You would take their place in an instant if you could. That became the seed of this book. It’s a huge honor, of course. It’s hard to know how to respond to something like that because you don’t expect anything like that when you’re working on your book in the dark hours of early morning. You expect to write something that your wife and kids will like, maybe. To have something like this happen is pretty remarkable. But there’s no way to expect or deserve anything like this. What type of dialogue – with so many Iowans reading this book – do you hope this will create? I think that when people come together to discuss something, whether it’s something they’ve read, or a movie they’ve all watched, what’s important is not really the story itself; it’s not really the thing they have in common. What’s important is that they are getting together and that they are talking about things. The themes of this book are love, sacrifice, loyalty, belief, disbelief, and I suppose the extent to which we forgive people who do awful things. These have always been good, sturdy topics, and hard ones, I think, to talk about, especially when faith enters the conversation. I guess what I would hope is that when people talk it over, that they’re listening closely to what each other has to say. Do you equate yourself with one character in particular? Probably Reuben more than the others. He’s the younger brother who doesn’t have an interesting life, while his older brother does. I’ve always felt kind of that way. I’m the youngest in my family, and as the youngest, I think you grow up feeling that you’re missing out, that you’re not getting to have the “real” adventures that the other kids had when they were your age. Partly that’s because they’re always telling you those stories: here’s what I did when I was your age. And they sound so magnificent and adventurous. How would you describe Reuben’s ultimate journey and revelation? I think Reuben is a kid who, like most kids that age, hasn’t asked himself very many hard questions at the time the story begins. He hasn’t asked questions about what he believes or why he believes it. He’s never thought to question his loyalty to his older brother or to his father. I think a big part of Reuben’s journey and a big part of his growing up is that he is prompted through these events to ask himself how far you go in being loyal to a brother who has done an awful deed, and how far you go in agreeing with your father. I think the same thing happens to some extent with what he believes about God and about his father, and his father’s relationship with God. He has to come to some point where he takes responsibility for his own decisions and his own spiritual life. We all know people whom we love dearly and we would defend them for anything, but even people we love dearly sometimes do horrible things. Do we stop loving them? No, of course not. But there comes a point, I suppose, where you can’t defend them, either. Given the teachers now reading and studying your book, was there one particular teacher at Moorhead State [where Enger majored in English], who influenced your writing? Actually there were a couple of them. Mark Vinz is still there, and he was my creative writing teacher. He had such a wonderful way of encouraging writers who were trying hard, which is just what I was — a kid who didn’t know what he was doing but was trying hard. He was encouraging to me, and a very fine writer himself and a great poet. 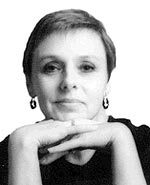 The other, Melva Moline, was actually a professor of newswriting. Her class was a great experience. We’d walk in and she would hand out 12 sheets of paper with a fact on them. In 50 minutes we had to write 12 news stories based on the fact sheets we were given. What that did was it taught me, number one, to assimilate information quickly, but two, how to tell a story that moved along because you have no choice. That was good experience, even for something as long-winded as a novel. The temptation when you’re writing a novel is to get captured in your own language, to sort of get caught in that web of prose. And it’s always a temptation, because you’re in love with the language. You write partly because you love words so much. What do you want the title to convey, and were there other alternatives? It’s a beautiful old hymn that you find in lots of different hymnals, and that phrase just jumped out at me. I was just starting to think about this book at the time, and I thought, ‘what a marvelous book title that is,’ and it just seemed to personify something about the book: a peacefulness, the sadness, it’s all there. And so I wrote toward that title — that was the title I always wanted the book to bear. I’m reposting a message I received from the Sioux City, Iowa, Orpheum Theatre’s mailing list regarding help for Lake Charles, LA. For those locals out there in and around Sioux City’s tri-state area, please do all you can. Thanks!